The Zika virus is a mosquito-borne flavivirus that was first identified in Uganda in 1947. Although the primary form of transmission is mosquitos, there have also been reports of sexually transmitted cases of Zika. Adults infected with Zika virus may not display any symptoms. If they do manifest symptoms, they range from fever, rash, joint pain, conjunctivitis, muscle pain and headache. These symptoms can last for several days to a week and are commonly confused as being the flu. While the virus is not fatal to adults, it presents severe complications for fetuses and infants. The CDC reports that Zika infection during pregnancy can cause a birth defect of the brain called microcephaly and other severe fetal brain defects. CDC also reports that in areas affected by Zika other problems have been detected among fetuses and infants infected with Zika virus before birth, such as defects of the eye, hearing deficits, and impaired growth, as well as increased reports of Guillain-Barré syndrome, an uncommon sickness of the nervous system. 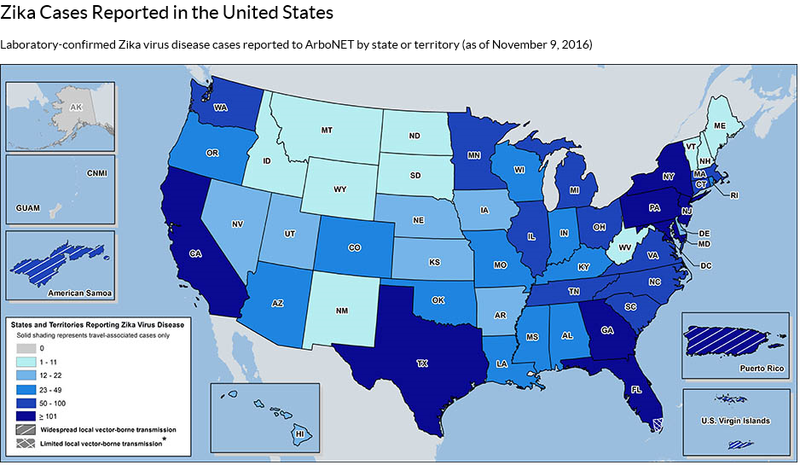 According to the Centers for Disease Control and Prevention, as of late October, there were 32,814 confirmed Zika cases in the U.S., including 4,091 cases in the continental U.S. and 28,723 confirmed cases in the U.S. territories of Puerto Rico, the U.S. Virgin Islands and American Samoa. In Florida, the number of reported Zika cases to date has risen to 1,144, with 915 stemming from people who brought the virus into the state after being infected elsewhere. Florida has had three identified Zika Zones where there have been local transmission of Zika virus. The first Zika Zone in Wynwood was announced on September 19, 2016. 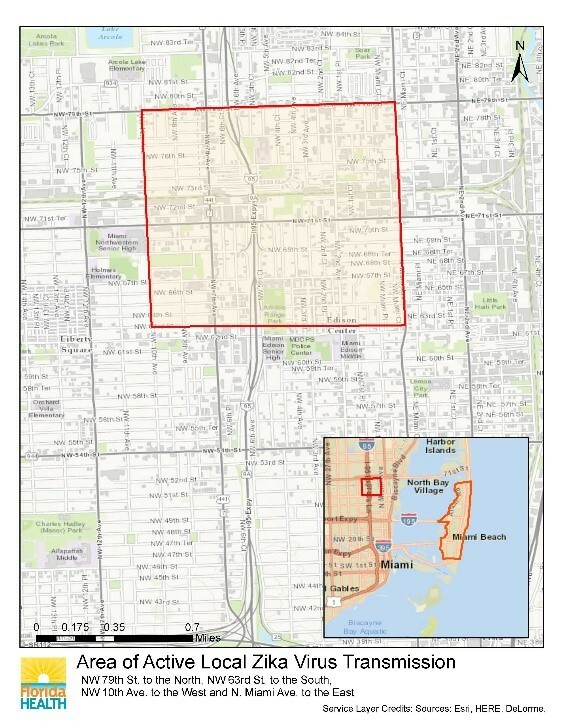 The Wynwood Zika Zone was originally about one square mile. 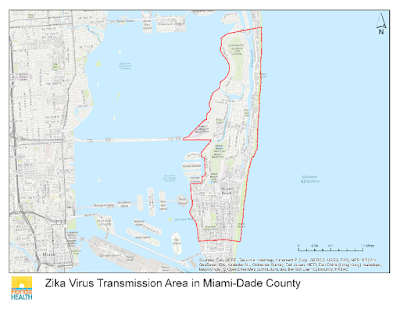 After 45 days of localized spraying and public quarantine announcements, the Zika Zone designation was lifted when was no evidence was found of active Zika transmission. 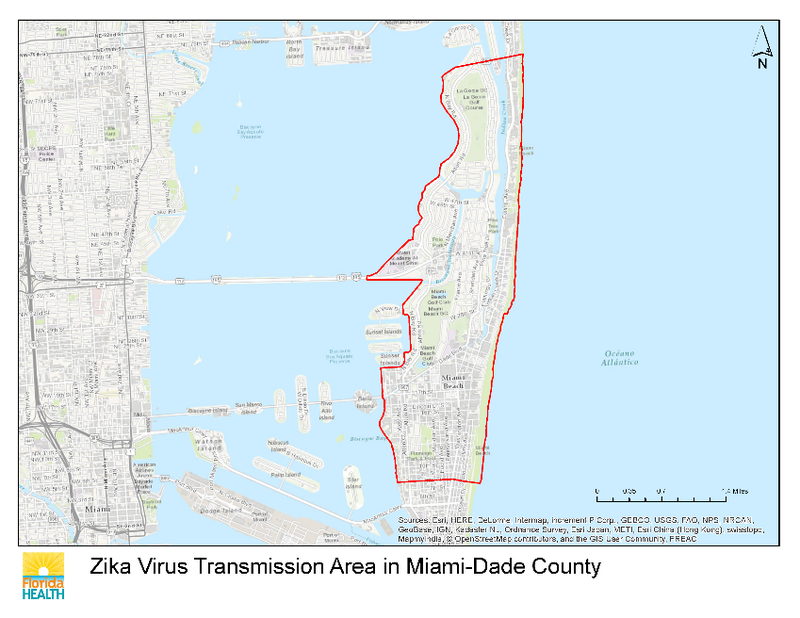 The second identified Zika Zone is about 4.5 square miles in Miami Beach within the boundaries of 8th and 63rd streets. 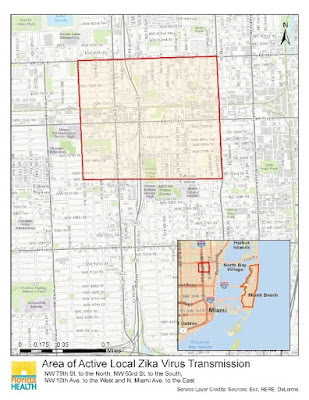 The third Zika Zone is about one square mile within the boundaries of NW 79th Street to the North, NW 63rd Street to the South, NW 10th Avenue to the West and North Miami Avenue to the East. 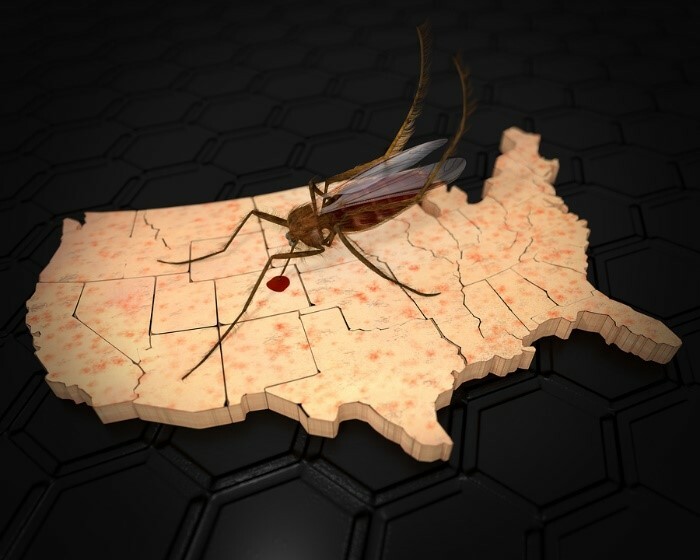 The spread of Zika is not only terrifying for overall public health and safety, but this well-publicized health problem also has a chilling effect on Florida’s lifeline, tourism. In 2012, Florida welcomed 89.3 million visitors who spent $71.8 billion. In 2014, the state tourism data estimated 97.3 million people visited Florida. In the first six months of 2015, Florida welcomed 54.1 million visitors. The majority of those tourists (about 96%) come into the state through Miami. Miami International Airport is the state's busiest for international travelers, who make up 70 percent of all foreign visitors to Florida annually. That overall revenue comes from individualized tourism, as well as the appeal of hosting events in Florida. The emergence of Zika Zones in South Florida has caused major concerns for travelers and directly impacted the hospitality industry. This is noted in the recent emergence of Zika-related event cancellation claims that insurers are receiving. These lines of viral demarcation now become pivotal pieces of claim and adjustment information as Zika related cancellation claims begin to fly in. within a radius of 25 miles of the Insured Location to the extent such Time Element loss is not otherwise covered under this Policy such as under the Civil or Military Authority or Ingress/Egress Extension. Cancellation, Disruption or Rescheduling is the sole and direct result of a cause not otherwise excluded which occurs during the period of insurance and is beyond the control of both the Insured and the Participant therein. 2. This Insurance also indemnifies the Insured for proven additional costs or charges reasonably and necessarily paid by the Insured to avoid or diminish a loss payable hereunder, provided such additional costs or charges do not exceed the amount of loss thereby avoided or diminished. 3. The Underwriters' maximum liability shall not exceed the Limit of Indemnity stated in the Schedule for the relevant Insured Event(s) nor the Aggregate Limit of Indemnity stated in the Schedule. 20. any communicable disease or the threat or fear of any communicable disease whether actual or perceived. A communicable disease means an illness caused by a pathogen and transmitted from an infected person or animal to another person or animal. The determination of coverage for Zika-related event/booking cancellation claims under each respective policy will have divergent results. However, the complexity of handling these types of claims does not cease with the analysis and application of policy language. The process of adjusting the claim itself requires relentless attention to detail and the ability to pilot insurers through murky waters. The best way to deal with these unique claims is to prepare yourself with the most effective and knowledgeable adjustment team, which starts with knowledgeable counsel. In these trying times of Zika Zones and cancellation confusion, Zelle is poised to help guide insurers and its insureds in the handling of Zika-related event cancellation claims.